Welcome to our lottery world where you can find the best lottery software in the market, the latest lottery results for virtually any lottery game in the world and reliable lottery feeds for your website and application! Best lottery software for any Lotto & Powerball games. Support more than 350 Lotto games in over 75 countries, including Mega Millions, Powerball, Lotto, Lotto America, Lucky for Life, Cash4Life, Fantasy 5 & Cash 5. See the winning lottery tickets of magayo Lotto users! Specifically designed for Pick 3 & Pick 4 games. Support over 200 lottery games in the world , including Cash 3, Cash 4, Daily 3, Daily 4, Pick 3, Pick 4, Play 3 & Play 4. 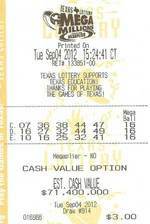 We can help you analyze your favorite lottery game! Which of your lottery product or service is right for me? See the latest lottery results and recent winning numbers for more than 550 lottery games in over 80 countries! 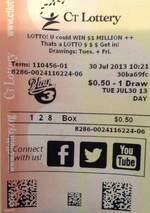 Easily display lottery results in your WordPress blog. Flexibility to customize date format and colors. Available in English, Spanish, Portuguese & Simplified Chinese. Easily integrate the lottery results & jackpots into your website and application. Supports more than 550 lottery games in over 80 countries. Available in JSON & XML formats over secure HTTPS connections. Earn a steady stream of income by partnering with us! If you are an individual, you may consider becoming our part-time sales promoter. A delightful weather app with animated icons on your Windows desktop. Includes currency exchange rates, world time and many more awesome features! Get all your lottery needs in magayo lottery world!